The latest deep sky imaging method that has to come to my attention? The “short subs” movement. What that is about is taking short exposures, 30-seconds or less—often much less—and stacking many of them, fifty, one-hundred, or more, into a finished picture. Why is that good? It puts far less stress on the telescope mount. A plain vanilla un-tuned and un-guided Meade or Celestron GEM can usually produce many good frames at 30-seconds and can probably produce almost 100% good frames at 15-seconds. No sweat, actually, as long as the mount has a halfway decent polar alignment (no drift alignment required) and the telescope’s focal ratio is less than about 1000mm. More than 1000mm or so of focal length? You might want to guide at 30-seconds of exposure, but you’ll still find guiding much easier to get going right than you would at 300-seconds. With short subs and a focal length less than 1500mm, an inexpensive guide camera like the Orion StarShoot on a 50mm finder-type guide scope like the ones Orion and KW sell is good enough. One thing is sure: minimizing guiding or eliminating it altogether goes a long, long way to making deep sky imaging fun and easy. Assuming you can get decent looking pictures out of 15-second subs, and you know what they say about that word. I’ve always been told longer CCD (or CMOS) integrations are necessary to keep detail up and noise down. Yes, stacking many frames will reduce noise, but one-hundred stacked 10-second frames will never have as much signal or look as good as the result of stacking 10 one-hundred second frames. Still, I thought it might be fun to see if there was anything to this new idea. In addition to that, it would make taking my Yearly M13 as simple as humanly possible. I'd set up the mount, do a goto alignment and a good enough AllStar polar align with the NexStar hand controller. Slap a camera on the telescope. Start an exposure sequence and run back inside to get away from the bugs and humidity and I’d have M13 in the bag. No guide scope or PHD Guiding to worry about. No constant checking to make sure the stars were still round. What’s this “yearly M13” business about anyhow? 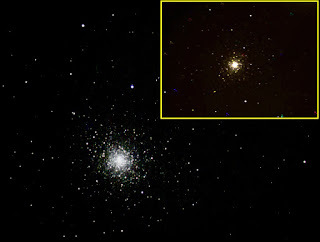 If you’ve been reading here long, you know I try to get out and shoot Messier 13, the Great Globular (star cluster) in Hercules, each summer. It’s been a tradition with me over the last decade and ensures I keep my hand in even during lousy summer weather. I have to get out at least once and shoot that glob, even if it’s through sucker holes. The mount, I decided, would be my decade old Celestron CG5, which I haven’t used much since I got a VX going on three years ago. Why? I am at the stage where I don’t want astro-gear I don’t use hanging around. For one thing, it seems a shame to let a scope or mount sit idle when it could be making some young person or a cash-strapped fellow amateur happy. I decided I’d sell the CG5 for a reasonable price this autumn. Before I did that, I’d need to make sure it still worked of course. Which telescope? That was easy: a Celestron C8. The C8 is a good match for the CG5, and if the mount behaved with one that would give the CG5 a clean bill of health. Since I thought I might sell one of my excess standard C8 OTAs with the mount, I’d use one of them rather than the Edge 800, Mrs. Peel. Which camera, then? Canon 60d or SBIG ST2000? The answer was “none of the above.” I’d been surprised lately to learn people are using the ZWO ASI120MC one-shot color “planetary” cameras for deep sky imaging. Not just “using,” but getting fairly impressive results. I thought it would be fun to see how my uncooled small-chip (1/3-inch) ZWO would do on M13 from my hot, light polluted backyard. If this less-than-three-hundred dollar camera could deliver on the deep sky, it would be a boon for a lot of folks. There are just not many inexpensive astro-cams out there anymore following the disappearance of the Meade DSIs, the SACs, and the scaling back of Orion’s budget offerings. That may be changing with the coming of new lower-tier cams from StarLight Xpress and others, but right now there just isn’t much. It wouldn’t get much simpler for me than shooting with the ZWO. No power supply, very light camera, easy to use software. I expected to take dark frames, sure, but biases and flats and all that stuff? Uh-uh. Which seemed in keeping with the spirit of the Yearly M13 outing. But what should I expect? How would the little cam do? 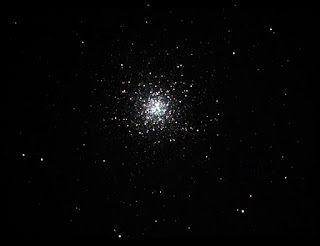 Even for bright M13, I wasn’t sure. However, I knew not to count the ZWO out. I’ve used it for everything from Moon pictures to stellar spectroscopy and it has not failed me yet. While this camera has small pixels (1.2 megapixels of 3.75 microns in size), which is what makes it such a planetary imaging powerhouse, I figured I could bin it 2x2 if sensitivity turned out to be a problem. The final piece of the puzzle would be the software. Some people have a hard time understanding how you can use a planetary camera like the ZWO for still deep sky images. Normally, after-all, it produces .avi video. You use a program like Registax to stack those individual frames into finished stills. The answer is in the software many of us use to control the camera, the amazing freeware program FireCapture. The ZWO is a camera like any other astro-camera. It’s not a video camera or a still camera; that is determined by the software running on the PC that controls it. The camera hardware is capable of exposing for up to 16-minutes; you just need the proper software to access that. With FireCapture, that is simple. Set the exposure to a value you want, say 15-seconds, select a still frame file type appropriate to your needs—you can choose tiffs, bmps, fits, and other formats—and fire away. In this mode, the camera works just like a normal still CCD, exposing and saving each frame as an individual picture, not as part of a video stream. When we finally got a night when I could at least make out some of Hercules’ stars, I moved the CG5 into the backyard and got down to business. I’d updated the mount’s firmware some time ago, so it really wasn’t much different from using the VX. In fact, I still like the CG5’s non-Plus hand control better. I essayed a 2+4 goto alignment, did the AllStar polar alignment, and redid the goto alignment for good measure. Naturally, by the time I finished all that, the clouds had returned with a vengeance. My time wasn’t wasted, though; the alignments were complete and I was able to test the mount for proper operation before the sky closed down completely. After a few gotos, I could tell the CG5 was her same old self: a little noisy but accurate pointing. That would be vital for using the ZWO. Without accurate goto, it would be a pain to get objects on that tiny chip, even using an f/3.3 reducer. Not that I had a prayer of seeing what the camera could do on this night. By the time I did those three gotos, thunder was beginning to rumble. I hibernated the CG5, covered the scope and mount with a Desert Storm cover, and ran inside. The following (semi clear) evening I woke up the CG5 and got started, mounting my old f/3.3 Meade focal reducer and the ZWO on the rear cell. I didn’t bother testing the pointing accuracy with an eyepiece before hooking up the camera; the Celestron hibernate function has always worked perfectly for me. I punched “Arcturus” into the HC so I’d have a bright star to focus on, the CG5 made her famous weasels-with-tuberculosis sounds, and I headed for the PC where I started FireCapture. To begin, I selected “16-bit” image depth, since I thought that might deliver easier to process images. That allowed me to select “fits” as my image file type, which is the astronomical standard. Next, I set the exposure to a short but not crazy-short 15-seconds with FireCapture’s exposure slider. Finally, I told FC to automatically take and subtract a dark frame. With an uncooled camera, that is vital if you don’t want to see a snowstorm of false stars, hot pixels. I started out with 70% gain (think “ISO”) on the ZWO to give decent sensitivity without introducing more noise than necessary. As usual, the CG5’s pointing was good. Arcturus, a big bloated donut, was easily in the frame. I mashed the appropriate button on the JMI Motofocus hand control till the star looked more like a star than a pastry, centered it up a bit, and placed the Bahtinov mask over the C8’s aperture. A Bahtinov masks makes getting sharp images fairly easy. Just adjust focus till the spikes around the star created by the mask are symmetrical (for want of a better description) and you are there--or close, anyway. I removed the mask, walked over to the scope, and entered “M013” into the HC. Rubber meets road time. I’ve done enough CCDing to be able to look at the unprocessed images displayed on a laptop and know whether or not they can be processed into reasonable pictures. The nice, big M13 on my screen obviously could be. Oh, it wasn’t perfect. Not unsurprisingly, given temperatures in the mid-80s F, the background wasn’t perfectly smooth. While the single dark frame the software applied was doing the job, it wasn’t doing it perfectly for every frame. But I gotta say I was impressed by what I saw, particularly given the lack of effort I’d had to expend to get it. I let the sequence run till I had 50 15-second frames. Well, my yearly 13 was in the can, but I’d only been outside for a little while, so I thought I might play around a bit. Why not make things even easier? I’d switch off 16-bit, which meant I could have FireCapture debayer my images on the fly—convert them to color as they came in. The Fits images would have to be converted from their raw form to color later. I told FC to debayer and to save the images as .bmps. Doesn’t get much simpler than that. Surprising thing? I really didn’t notice much image quality difference. 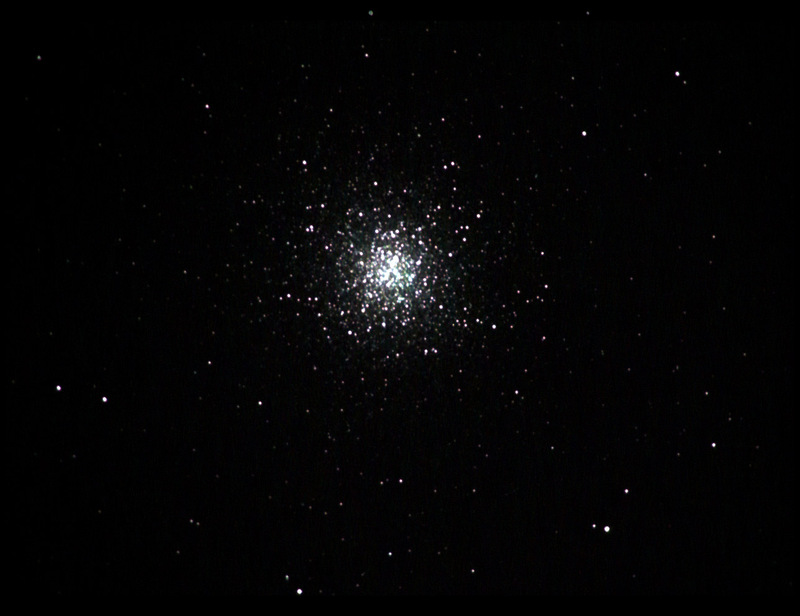 I left the settings as they were and did a few more bright targets after I’d captured another sequence of M13. Next was the nearby smaller globular M92. 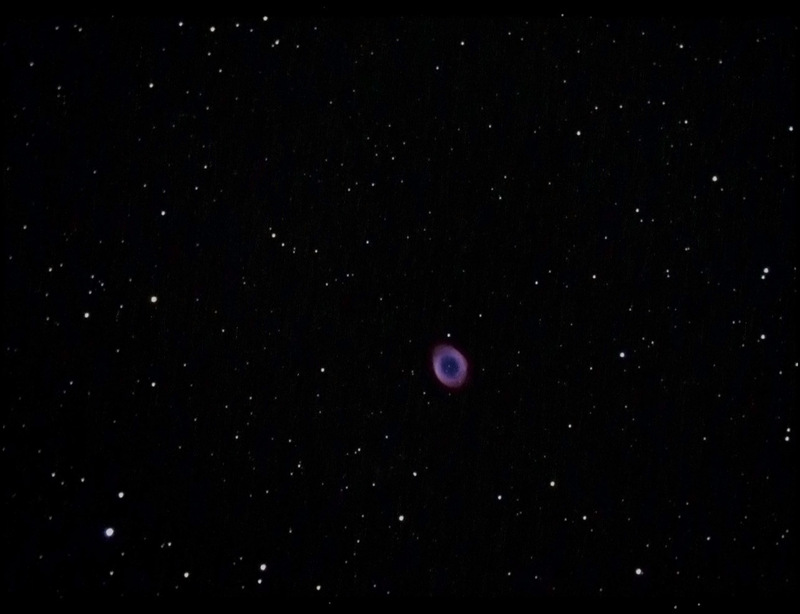 After that, M57 was a natural. 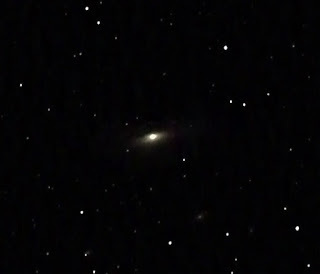 I was much impressed by how good the Ring looked onscreen, showing striking color and its tiny central star. The “magnification” factor inherent in the ZWO’s small chip meant that even at f/3.3 with the C8, the Ring was large enough to show plenty of detail. Before pulling the big switch, I thought I’d do one slightly dimmer target. NGC 7331, the Deer Lick Galaxy was high in the east, if in a particularly hazy area, so there we went. There was no trouble seeing the galaxy onscreen, though there was no doubt the haze and light pollution were taking their toll. I could even see hints of detail, but only hints. I could have binned the camera to increase sensitivity, but forgot to try that. Probably wouldn’t have made a huge difference anyway. The real problem was sky conditions. While the galaxy didn’t look great, I was amazed to see I was able to make out one of the Deer, one of the dim little NGC galaxies near NGC 7331, in raw frames. In my processed images, several are apparent, showing the ZWO doesn’t lack sensitivity. Anyhow, after getting a sufficient number of frames, 30 (should have done more, but I was ready to cover the scope), I shut down and headed inside. Actually, if I’d had good sense, I would have run inside after starting each sequence, but I was just too curious to see what the little camera did. As a result, the mosquitoes literally ate me alive despite me bathing in Off, running the Thermacell, and burning two citronella candles. Deep summer in the deep south; gotta love it. The next morning it was time to see what I’d got. I’d restrained myself from looking at my shots when I went inside—no matter how good your pictures are, they will always look terrible the night you shoot them. Verdict? Not bad. Surprisingly good as a matter of fact. I stacked with Nebulosity, processed with that excellent program as well, and tweaked with Photoshop. Perfect? No, the backgrounds were not that even, but, no, not bad. I’ve had DSLR images that were more difficult to process. 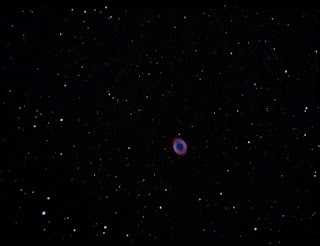 M57 in particular was good looking when it came out of Nebulosity 3. One real strength of the ZWO in comparison to other budget cameras is the size of the images it produces in unbinned mode, 1280x960, which means your finished pictures are nice and large. Speaking of Nebulosity, I could have operated the ZWO with Neb instead of FireCapture. While the program does not have a built in driver for the camera, the ASCOM driver furnished by ZWO allows the 120MC to work just fine with Nebulosity. While Neb won’t automatically subtract dark frames, that might be a good thing. Taking multiple darks under varying camera temperatures might help. While the temp of the ZWO as shown by the temperature indicator in FireCapture seemed fairly stable, lots of good darks might make a difference when you are trying to wring every last ounce of performance out of the camera on cold, clear winter nights. 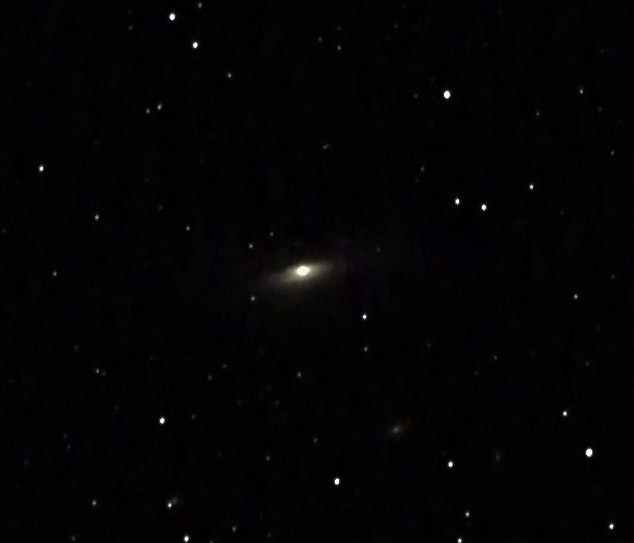 While I was quite pleased with my shots, I did think M92 was a little thin and slightly out of focus. Since the scope was still set up in the backyard and we were slated to have another good (relatively speaking) evening, I thought I’d give Hercules other globular another visit. I was also curious to see how my old Meade DSI I stacked up against the more modern ZWO. Everything went smoothly with the ZWO, and I got an M92 that I was pleased with. The DSI? Not so much. It worked as well as it ever did, but what that meant was that shots under my light polluted skies on a hot night were not so good. The DSI can do a heck of a job on a winter evening, but despite the designers’ efforts to reduce thermal noise, there is plenty there on Gulf Coast summer nights. There were also some odd artifacts visible. Probably due to me not setting up the cryptic Meade Envisage software’s stack-on-the-fly feature correctly. However you sliced it, there was no denying the 300 buck ZWO ASI120MC blew the ten year old DSI out of the water. Final thoughts? Other than being impressed with the ZWO and being anxious to see what comes out of the company next (they are readying a more advanced and cooled camera), I concluded that there is something to this short subs business. Until I can get a camera out under better conditions, I can’t say how much there is to it, but I plan to do further experimentation at the club dark site and at star parties this fall. Stay tuned. Never been particularly impressed with the DSIs always seemed to difficult and fiddly to get a good series of images easily. Still, problem solved I have just accidentally dropped it and it is busted! I am replacing it with an Orion G3 Starshoot which I hope will be an improvement. ZWO are on vacation and I am an impatient person!